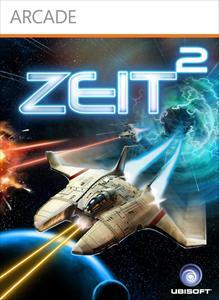 "Experience the next generation of shoot ’em ups with Zeit²! Travel through time to co-op play with a copy of yourself! Pull off amazing moves to defeat 8 massive bosses! Pace the game and improve your score with the powerful fast forward feature! Discover 6 unique game modes and beat 70 challenges in this innovative and action packed arcade game!"